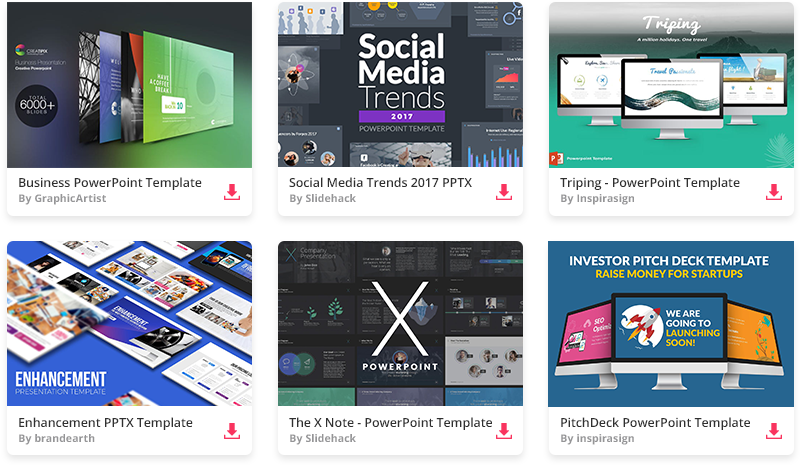 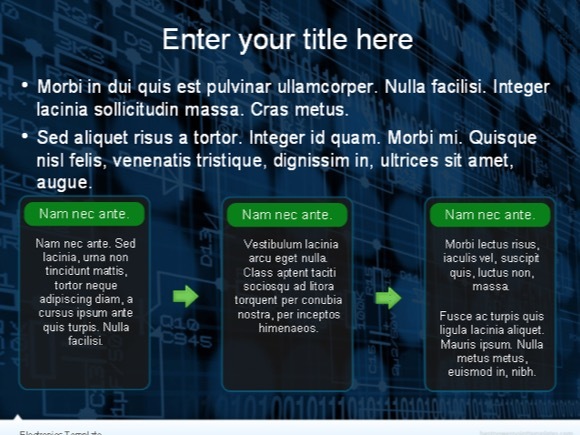 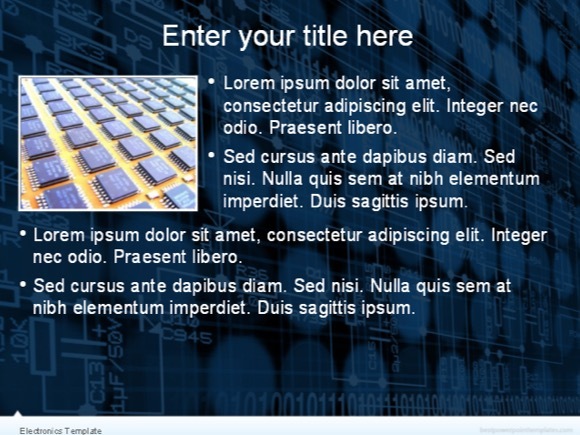 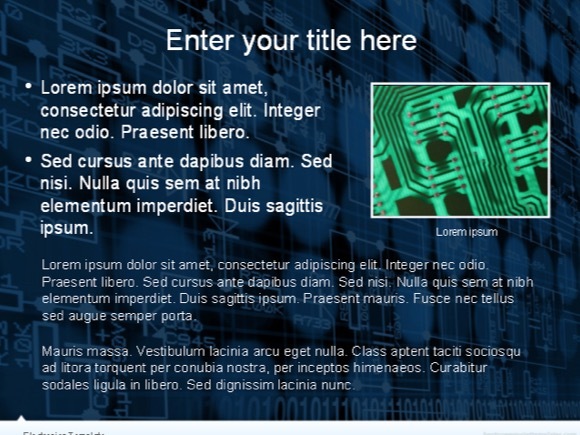 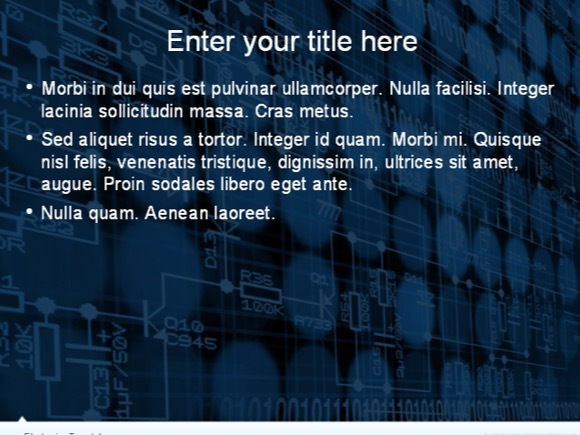 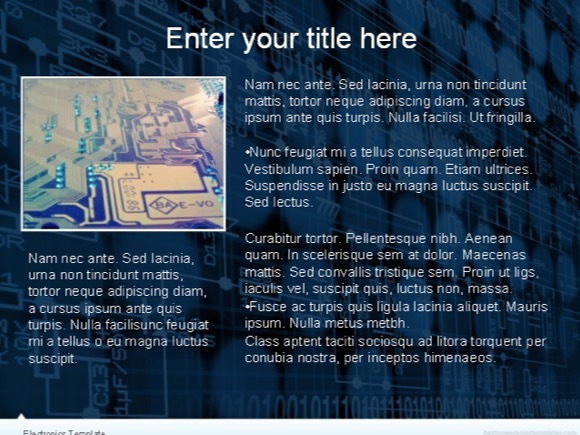 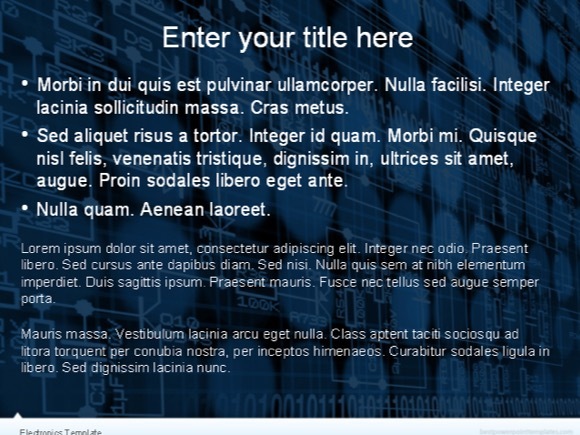 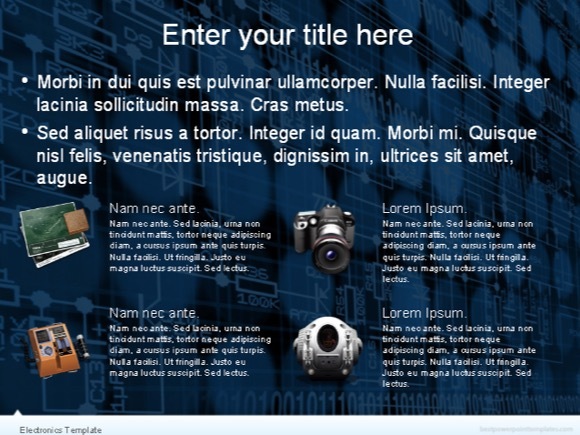 Electronics PowerPoint template - FREE! 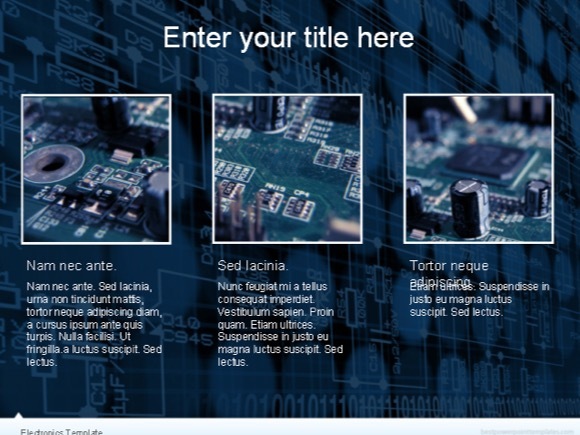 Electronics PowerPoint Template is with electrical circuit background for presentations of electrical engineers as well as professionals electricity or electronics. 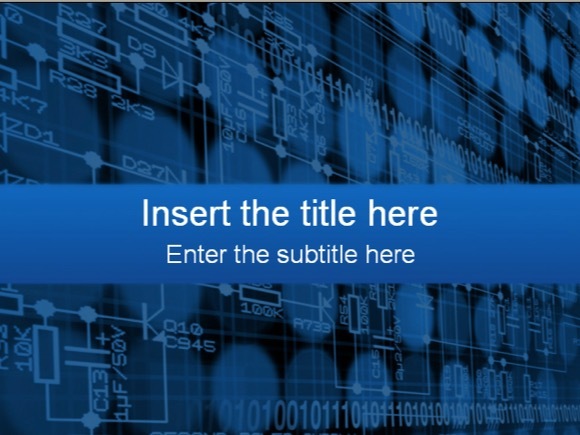 Download this PowerPoint template for presentations of electronic circuits or projects of advanced technology.